Sardar Jasbir Singh Sethi, who initiated and nurtured many Sikh projects to fruition in the USA, passed away on February 12, 2017, in Houston, Texas. He was 81. His wife Sardarni Surjit Kaur, his son Navneet Singh, his daughter Pinki Kaur, alongwith many friends were by his side. Jasbir had been battling a stage-four gall bladder cancer for the past several months. I often had long phone conversations with him and visited him as often as I could. It was always a treat: he had plenty to talk about in regards to Sikh affairs and the numerous community projects that he regularly helped and guided by giving his all. So was he with his friend. For example, in 1982 when my home in Arlington, Texas, caught fire, Jasbir drove all the way from Houston to visit us to offer his help. The last time I saw Sethi Sahib, as we used to call him, was on January 28 this year, two two weeks before his death. He was in typical chardi kalaa and without any complaints over his bout with cancer. Instead, he asked about the health of the Panth and he told me how he stayed in touch with his Guru through listening to kirtan and reciting gurbani. He handed over a cheque for The Sikh Review, the journal published out of Calcutta, asking me to forward it to them. He has been representing The Sikh Review in the USA for years, enrolling new subscribers, and sending articles and guidance to the journal. During my recent conversation with Dr. Narinder Singh Kapany, the latter said that he had lost an invaluable member of his team at The Sikh Foundation in Palo Alto. Jasbir had been a member/trustee of the foundation for over 25 years. Several years ago, when the late Sardar Ganga Singh was looking for the Secretary General for The Nanakana Sahib Foundation, he zeroed in on none other than Jasbir Singh ji. Jasbir, initially however, declined to take it on, so both Ganga Singh and I drove to Houston to convince him personally that the organization was in dire need of his guidance and stewardship. Jasbir was born in Mardan in the Khyber Pakhtunkhwa Province (of what is now Pakistan) 1936. He received his engineering degree from Punjab Engineering College in 1956. He then joined the Indian Railway system as an officer where he worked for ten years. During the same period, he earned a law degree from the University of Gorakhpur. After his immigration to the USA, he completed his MS degree from Rutgers University in 1972. Thereafter, he moved to Houston and joined Brown & Root (an engineering, procurement, and construction company) as an engineer. Before long he was promoted to Manager and led a team of engineers to design the piping system for the world’s first nuclear power plant. Since then, he served several American companies in a variety of positions. Jasbir was one of the founders of the Sikh Center of the Gulf Coast Area. At the time, the Sikh Center was the first gurdwara in the southern United States. Jasbir was also the founder of or held offices in several cultural, educational, and religious organizations such as The Sikh Students’ Federation, Punjabi Society, Urdu Cultural Society, and Sikh Council of North America. He was also the prime mover behind a number of Chairs of Sikh Studies which were set up in US universities during the last several decades, especially in California. He has written several books and essays on Sikhism and has been published in many journals. He has also been widely honoured for his extraordinary contributions to the Sikh-American community, the Sikh diaspora, and of course the world at large. The Sikh sangat and many friends of Sardar Jasbir Singh Sethi will feel his absence for a long time to come. Our deepest condolences to his family and loved ones. 1: Bhai Harbans Lal (Dallas, Texas, USA), March 08, 2017, 7:19 PM. 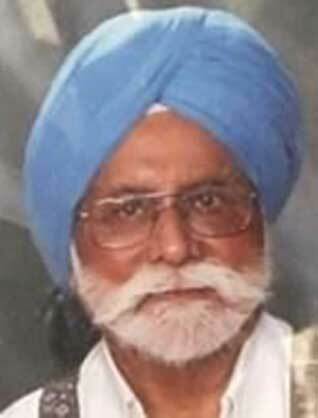 Thank you, Sher ji, for letting S. Jasbir Singh ji's friends and colleagues know this sad news. Our community is spread out and scattered far and wide. As a result, they generally remain uninformed about such news. Only a magazine like yours is capable of wide dissemination of important news in our diasporic community. 2: G C Singh (USA), March 09, 2017, 8:10 AM. I had the privilege of knowing Sardar Jasbir Singh ji for more than 20 years. He was a gentle soul who spent his entire life with a passion for Sikhi and advancement of its institutions in the diaspora. May Waheguru rest his soul in peace. 3: Gurmeet Kaur (Atlanta, Georgia, USA), March 09, 2017, 10:58 AM. We shared the same ancestral province, and came across each other when I was first published in The Sikh Review some six years ago. His encouragement of my Baarhan Maah's (The Twelve Months) poetic translations are still fresh in my memory. He made me promise to render them into beautiful artwork. I hope to keep that promise some day, S. Jasbir Singh ji. Your kind devotion and care for the community will be long cherished by so many. 4: T. Sher Singh (Mount Forest, Ontario, Canada), March 09, 2017, 11:32 AM. I had the pleasure of meeting S Jasbir Singh ji off and on through the years, and of a continuing correspondence from time to time. I loved his steadfastness in his projects, and the passion, commitment. dedication and meticulous detail he put into each. I knew him as a man of deep spiritual humility, as one who easily let others take credit and glory for projects for which he himself had done the bulk of the meaningful work. It made him all the bigger for it, and a giant amongst his peers. 5: Ajit Singh Batra (Pennsville, New Jersey, USA), March 11, 2017, 8:31 AM. I was two years senior to Jasbir Singh ji in Panjab Engineering College. I graduated in 1954 and he in 1956. In USA I met him in 1994 in Houston for the first time, in a gurdwara and later at his home. I learnt that the gurdwara was designed and built primarily through his efforts. Around the turn of the century, I told him I was going to Chandigarh to meet my relatives. He invited me to attend his son's marriage in Chandigarh. I did attend. For some inexplicable reason, Jasbir ji was denied a visa by the Counsel General of India for entry into India.